Preheat oven to 275 degrees F (135 degrees C). Grease and flour a 9x13 inch pan. 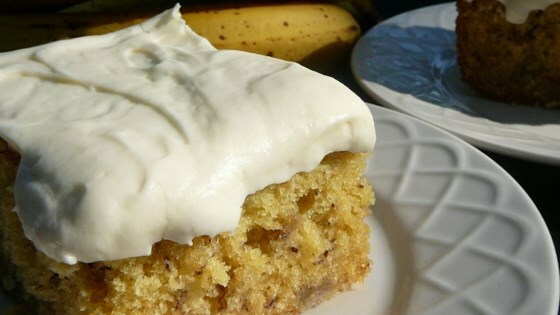 In a small bowl, mix mashed bananas with lemon juice, set aside. In a medium bowl, mix flour, baking soda and salt. Set aside. I think the baking temp should be 375 instead of 275 as listed here. After 1 hour at 275 it was not even close to being done.